With the promise of Daanto ka Life Insurance?, Aquawhite Aquaville Toothbrush is the perfect choice for your little ones as it comes with ultra-soft bristles. The well-designed head reaches every corner of the mouth, providing perfect cleaning for your little ones. The child has a good grip on the toothbrush because of the curves of the handle and after brushing they can put their toothbrush upright because of the suction cup on the brush. 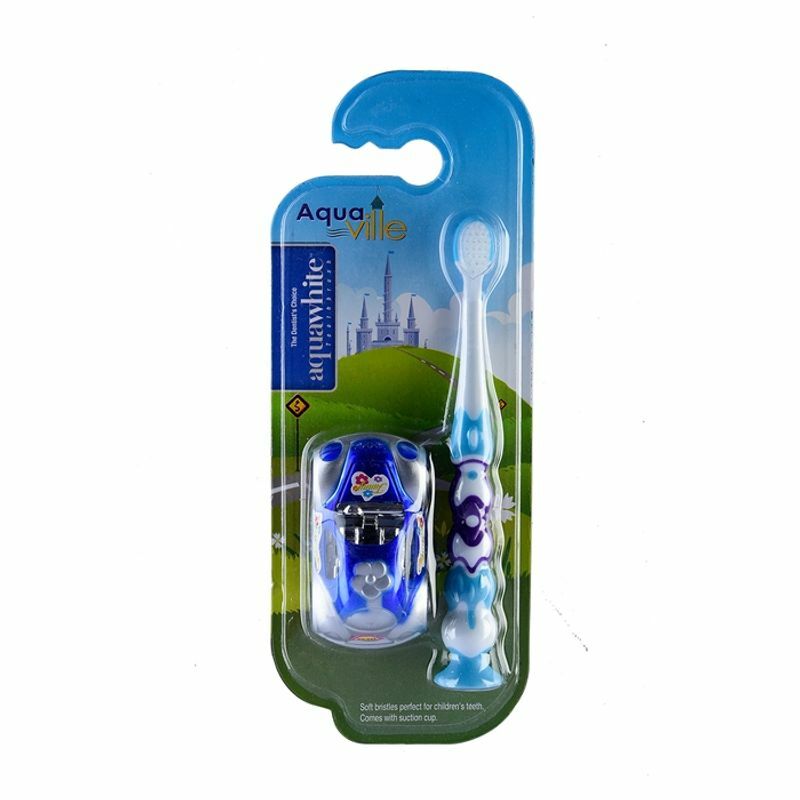 To add a fun element , this toothbrush pack comes with a car to up the excitement while your child brushes the cavity germs away. Additional Information: Aquawhite toothbrushes are manufactured by JHS Svendgaard Laboratories Limited Company which has been manufacturing oral care products for over 20 years in India. The brand's mission is to enable more people to live a healthy life by improving and ensuring the health of their smile with supreme technical expertise in Oral Care products.